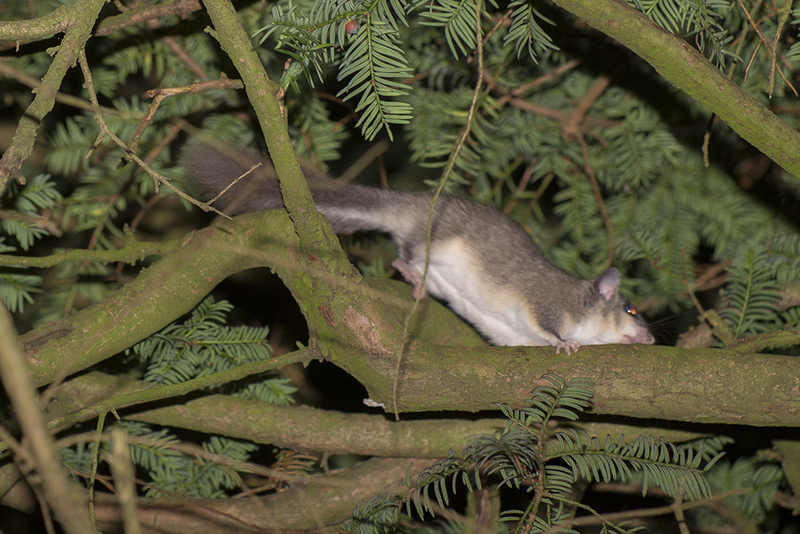 The Edible Dormouse was regarded as a delicacy by the Romans, giving rise to their common name. They are widespread on the continent, but only exist in Britain as a very localised population south-east of the Chilterns. They are nocturnal, and spend virtually all of their time in the trees, making them very difficult to spot or indeed photograph. Their bushy tails lend a squirrel-like appearance that is further enhanced by their dexterity in climbing and leaping through the trees of European forests. As the weather cools down during late autumn, edible dormice go into hibernation in underground tunnels, often in family groups.